Thanks SpaceEngineer, though I could only find the Moon bump readme.txt file, here you state that the total resolution equals 32768 x 16384 pixels. 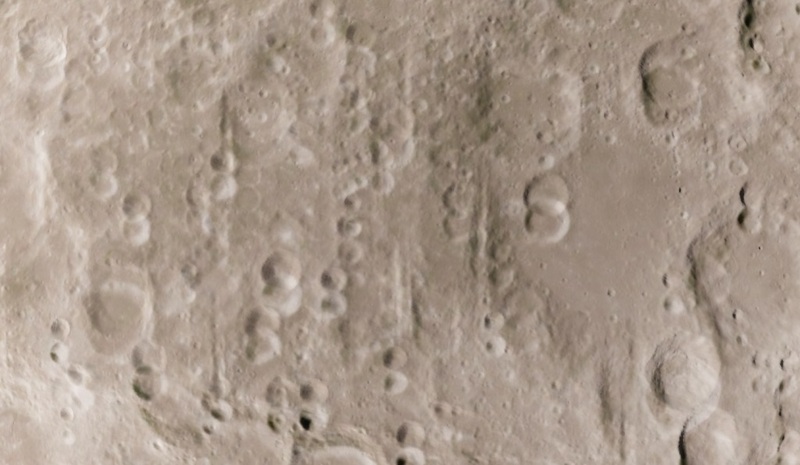 However, I was curios, what the dimensions of the surface/albedo texture map is? Thank you for any pointers! 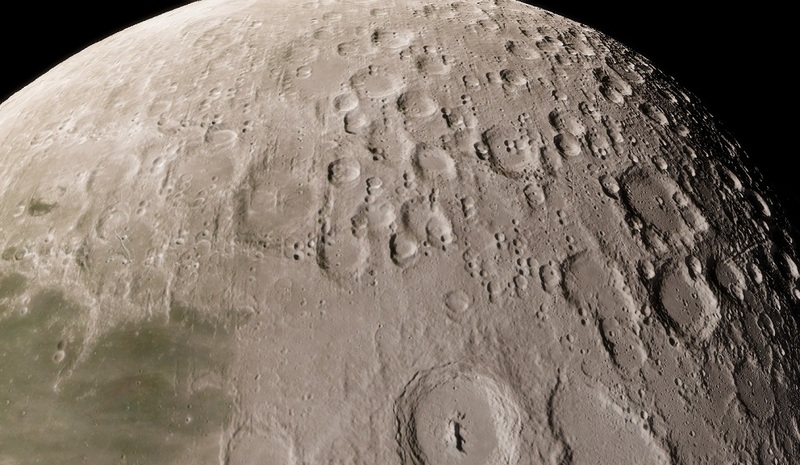 I have Moon surface/albedo base map with 8192x4096 (16bit) resolution, would that result in a similar resolution like the one that comes with SpaceEngine, if I converted it to SE-format? 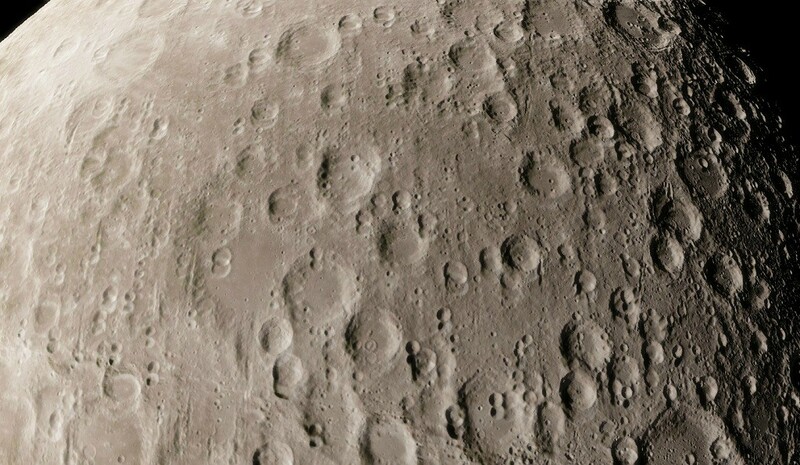 Moon's surface texture was 16384*8192. So, if tile width is 512 (514 in real, but you should ignore duplicate pixels at the perimeter), and max tile level is 5 (you can see a file say 5_16_28.jpg), then width = 32768 and height = 16384. I noticed that in texture's readme. There's nothing to be replaced - default textures are in jpeg format, while new textures are in png. 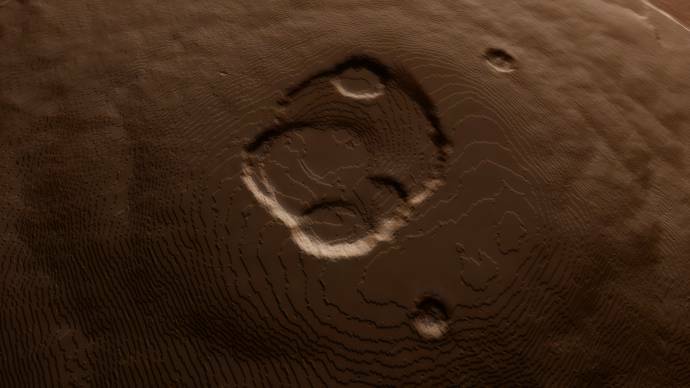 New Mars textures has the same resolution as the default, but at greater quality. Compare these two screenshots. The first is the default bump texture, the second - from the add-on. In the first screenshot you can see noticeable artifacts ("ladder") - because default 8-bit bump texture has alack of precision. I am seeding them every day Maybe some trouble with torrent? Switched downloading application from Vuze to uTorrent and now it's downloading like a charm, wooohooo ! What resolution are the Earth surface and bump maps? 0.5km/pixel? 2km/pixel? Initial texture has resolution 86400x43200. Earth's equator length is 40000 km, so resolution along equator is 40000/86400 = 0.463 km/pixel.